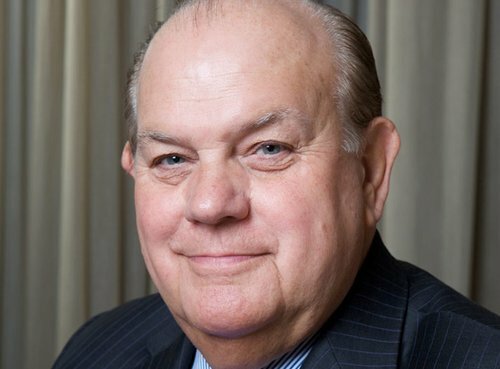 An acclaimed international businessman, David’s diverse business roles and activities also extend substantially beyond print and media to encompass, Peace Hospice Care amongst others, chairmanships of organisations in business consultancy, work and training. David was appointed a Labour Peer in 1998 for his services to Charity, Trade and Industry. Dr Hilke worked for the U.S. Federal Trade Commission from 1978 to 2005 as Economist, Electricity Project Coordinator, Assistant to the Director of the Bureau of Economics and in other roles. He has continued in an consulting role with the FTC since 2005. He is an Economic Expert: Antitrust, Regulation and Privatization Analysis and Testimony. 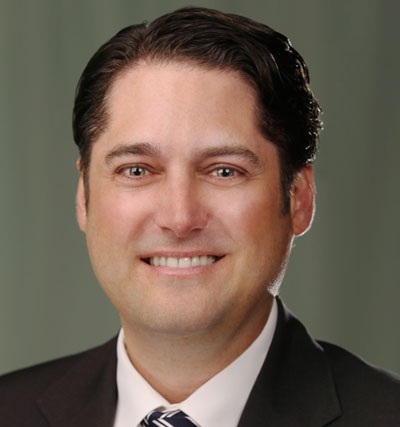 He is author of electricity competition advocacy comments for the Federal Trade Commission (FTC), Office of the General Counsel, and assistance for the FTC hearings on “Competition and Consumer Protection in the 21st Century,” FTC, Office of Policy Planning (2018-2019). Dr Hilke is primary author of more than 75 competition advocacy comments filed before the U.S. Department of Energy, U.S. Postal Rate Commission, the U.S. Securities and Exchange Commission, the Federal Reserve Board, the U.S. Customs Service, the Federal Energy Regulatory Commission (FERC) and published several dozen articles, books, and reports on a variety of economic issues. He took part in Federal Trade Commission’s long-term technical assistance mission in Ukraine and short-term training missions and/or presentations in Austria, Azerbaijan, Bulgaria, Hungary, Indonesia, N. Macedonia, Philippines, Romania, Russian Federation, Peru, South Africa, and Thailand. Dr Hilke also provided long-term technical assistance to the competition agency Jamaica and consultated with the Mexican competition agency regarding competition advocacy and interagency relationships and consulted with the OECD competition staff on several issues. Igor focuses on Cybersecurity and Critical Infrastructure Security. He has an outstanding record of implementing the best global information security practices and frameworks for a wide range of companies (Ukraine, Kazakhstan, Germany and the United Kingdom). He is actively involved in scientific and research activities in the area of cybersecurity within the projects of the European Commission in cooperation with leading specialists from the University of Reading, research laboratories of the Universities of Leeds and Newcastle. Igor also successfully manages Horizon 2020 projects (under relevant arrangements with the European Commission) in the areas of enhancing the cyber security standards in energy infrastructure, the Internet of things and telemedicine, and is a frequent speaker at specialized conferences and seminars. Following private practice, Mr Luciw worked for the Competition Bureau of Canada for 15 years. During his time at the Bureau, Stephan worked in both consumer affairs and the criminal matters Branches, ultimately reaching the position of Assistant Deputy Commissioner. His work in these areas has included cases involving false and misleading representations, deceptive telemarketing, mass marketing fraud and ordinary selling price issues, as well as the supervision and investigation of numerous criminal cartel cases dealing with bid-rigging, market allocation and price fixing. Stephan is a frequent lecturer at universities (law and business schools), bar association conferences and stakeholder programs. In 2016, he was seconded to the Organization for Economic Cooperation and Development (OECD) in Paris where he was an international fellow working in the Competition Division on a peer review project of Ukraine and its competition regime. Currently, Stephan is the Lead Counsel, Enforcement for the Market Assessment and Compliance Division of the Independent Electricity System Operator (IESO). The IESO is the Crown corporation responsible for operating the electricity market and directing the operation of the bulk electrical system in the province of Ontario. This Division is responsible for fostering compliance with the market rules and standards, and conducting assessments of the market’s performance. Mr Melnychenko is an honoured lawyer of Ukraine recognised by state. He headed the working groups that developed the original Ukrainian competition legislation. He has held senior positions at the Antimonopoly Committee of Ukraine (1993 - 2008), Acting Chairman of the Antimonopoly Committee of Ukraine (2008-2010); represented Ukraine in intergovernmental expert groups on competition law and policy. Chair of the Expert Council, Competition Development Foundation (Ukraine). Head of working groups that developed competition laws of Ukraine: Art. 42 of the Constitution of Ukraine, laws of Ukraine "On the Antimonopoly Committee of Ukraine", "On Protection against Unfair Competition", "On Protection of Economic Competition" (more than 200 laws and regulations). Oleg Samus has over 15 years of experience in advising national and international companies, government and financial institutions and donor organizations on legal, regulatory, policy, government and public relations matters in different sectors of economy, including agriculture, infrastructure and other areas. Mr. Samus supported investments of more than 500 million US$; successfully protected interest of the clients in corporate, tax and commercial disputes; developed and supported the adoption of significant number of laws. He is currently advisor to US-Ukraine Business Council, member of American Chamber of Commerce in Ukraine and CEO Club Ukraine and served as an advisor to the Minister of Agriculture and Food Products of Ukraine and was heading the coordination group for development of Strategy for Agriculture and Rural Development of Ukraine for 5 years. Oleg has commenced leadership and executive development programs at IMD (Switzerland) and ESADE (Spain) business schools and graduated from the Taras Shevchenko National University. Mr. Solyar focuses on taxation. His practice areas include corporate and business law. 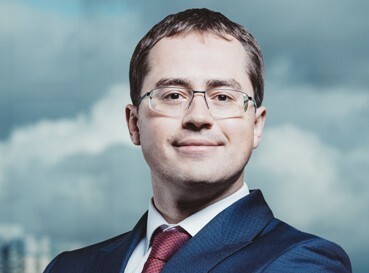 When it comes to taxation, for more than his 14 years of practice Constantin has gained expertise that covers Ukrainian general and special tax regimes as well as both direct and indirect taxes. As a Ukrainian lawyer, Constantin represents clients in administrative and judicial proceedings involving the Ukrainian tax authorities. He has worked in Big4 firms in both Ukraine and in Luxembourg. Constantin also serves on the board of a non-state pension fund in Ukraine. Mr Solyar received degrees at Harvard Law School, Master of Laws (LL.M. ), 2015 and National University of the State Tax Service, Bachelor of Laws, 2005. He is admitted to the New York Bar, 2018. Mr Solyar advised the following companies in his career: Google, Telenor, Molson Coors, PPG-Helios, ED&F Man Holdings, EDB Business Partner ASA, STX Europe Group and other. Mr Tsivkach is a lawyer with both UK and Ukraine‘s legal qualifications received at King’s College (UK); University of Westminster (UK); ISTU (Ukraine), and professional advisor on competition policy and strategic international relations for public and private organisations. He is Chair of the Board of the Competition Development Foundation, an expert organisation that works on a contractual basis with the US Federal Trade Commission and USAID since 2016, and cooperates with the World Bank, European Commission, OECD, UNCTAD, ICN, etc. Mr Tsivkach is the Head of the Secretariat of the All-Party Group on Protection of Economic Competition at the Parliament of Ukraine and Advisor on international affairs to the First President of Ukraine - Leonid Kravchuk. He has previously served as advisor to Members of Parliament and senior officials on a repeated basis. During his career he effectively contributed to development of Ukraine’s international relations and has been awarded with decorations for promotion of international image of Ukraine, including decoration of International Chamber of Commerce. He represents interests of Ukrainian businesses in the UN agencies, such as ILO, UNCTAD and other. Author and co-author of over 20 expert recommendations to state authorities on improvement of regulatory policy and reforming of strategic markets, i.e. energy (natural gas, electricity and coal), chemical, retail, healthcare, forestry, and agricultural sector. He often speaks at high-level public events, including the United Nations annual conferences. A leading consultant on anti-corruption and anti-bribery, Mrs. Ward qualified as a solicitor before being elected as the Member of Parliament for Watford in 1997. During 13 years as an MP, she spent five years as a government minister working with a number of departments including Business, HM Treasury, Health and Culture, Media and Sports. In her post as Parliamentary Under Secretary of State at the Ministry of Justice, she introduced the Bribery Act 2010 into the UK. 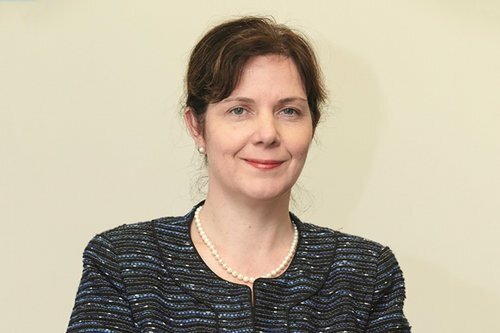 Since leaving Parliament she has worked as Chief Executive and Chair of the community pharmacy trade associations and Non-executive Director of an NHS foundation hospital trust. She runs a consultancy supporting business to tackle the risks of bribery and corruption based on her experience as the Justice Minister. Director, Institute for Environment and Energy Conservation; Minister of Fuel and Energy of Ukraine (2000–2001, 2002–2004); Chairman of the State Agency on Efficient Usage of Energy Resources of Ukraine (2009–2010). Mr Yermilov is a renowned expert in the energy and energy efficiency sectors. He is a consistent supporter of a pro-European development of Ukrainian energy system and its effective diversification.